Every now and again, I get a craving for an over-stuffed burger. While this guy is not near as lethal as what I might find at the The Regal Begal, it was pretty darn good. 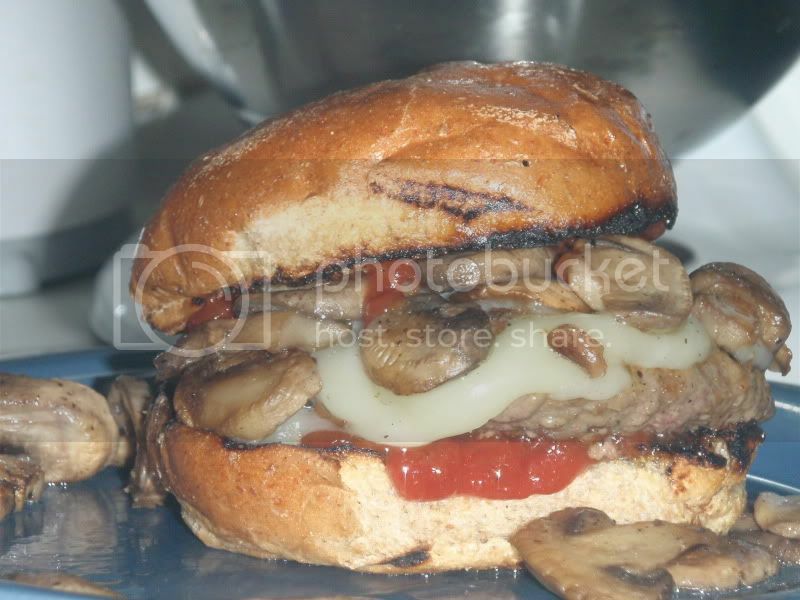 Grill pan, sauted mushrooms, little provolone, and, of course, the meat make for a nice indulgence. Recipe/method previously posted here.